Are you in dire need to lose weight? Do you wish to shed off some extra pounds you have gained over the holidays? Are you trying to fit into that dress but do not have much time? These are just some of the dilemmas of people who can no longer control the ballooning of their bodies. You might be one of them too. You wish to get back in shape as quickly as possible without the hassle of crazy diets and strenuous exercise. You are just in luck because the iRelease Diet is here to answer your weight problems. How does the iRelease diet plan really work? Will it work for you? The answer is that it’s a very simple diet and YES it will work for you, even if you’ve tried every diet out there and failed. If you merely follow the directions strictly then you will succeed. It’s as simple as that. Basically you take 15 of the iRelease drops three times a day; morning, noon, and evening under your tongue. The reason you’re placing it under your tongue is for rapid absorption of the drops into your blood stream. People take the iRelease drops because anecdotal evidence shows that the drops help to curb your appetite and cause your hypothalamus to function the way it should. You will follow a very strict eating program from a list of foods you can find at basically any grocery store. The foods will consist of a protein,vegetable, fruit and Melba Toast or Grissini bread sticks. The choices on the food list are very specific and you must not stray from those choices that you are given. These foods have been researched and found to be the best for providing optimal results. Each day you will have coffee or tea for breakfast and you are able to have 1 tablespoon of milk per day. For lunch you’ll have a protein and either 1 cup or 2 cups of vegetables depending on which vegetable you choose, a fruit and either 1 Grissini or 2 Melba Toasts. Many people will save their fruit and Grissini or Melba for a snack in between lunch and dinner or as an after dinner snack. Spreading your food out like that often helps with minimizing cravings and any hunger you might have. It also makes you feel like you’re eating more throughout the day. 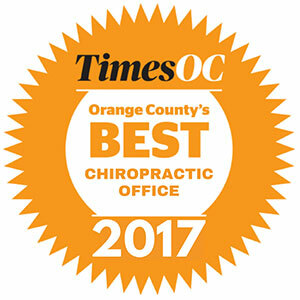 Call now to set up your Free Consultation, (949) 640-7030. We DO NOT count calories simply because the food is measured and that is good enough. Counting calories only makes it more complicated and gives some busy people reason to say “forget it” You will measure your vegetables either in 1 cup or 2 cup portions based on which vegetable you choose and your protein will be measured in grams or ounces. That’s all the measuring you need to do. This makes it simple to follow and simple to stick to. You don’t need to keep detailed records or charts so anyone can do this and it won’t take a lot of time out of your day to do so. You may exercise on the diet but it’s suggested that you minimize it to walking or lightly jogging one to two miles per day. This is because you’re not taking in very much food and if you exert too much energy into more vigorous exercising your body will put itself into “starvation mode” thinking it’s not getting enough fuel for that type of exertion. Again, keeping the diet very simple and easy to follow and accomplish successfully. You do not need to exercise on the diet to lose weight.You will still lose at a rapid rate even without adding in the walking or light jogging. It’s not a required part of the diet, it’s simply there because many people have been drilled into them that they need to exercise in order to lose. Not true on this particular diet, although it does help if you can do a little walking. That’s basically it, simple and easy to follow. If you stick to the instructions you will see that you will lose between an average of a half a pound a day up to two pounds a day. Each person is different but at the very least you’ll lose a half pound per day, most times MORE. Depending on your weight loss goals, your first choose is the 23-day iRelease plan. You will need to purchase 1 bottles of the homeopathic iRelease for the 23-day round. This comes with a consultation with the doctor. Please contact us so we can set that up for you.